Millepora, or “fire coral,” can be found in varying habitats including deep reefs, reef flats and surf zones, but are restricted mainly to coral reefs. The coral is a common member of the Bermuda platform and across Caribbean reefs. 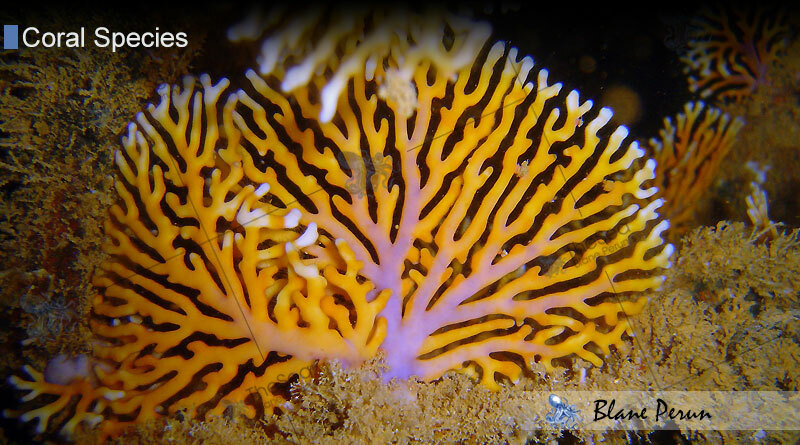 It gets the name fire coral from the painful stings it can inflict on snorklers that get too close. The surface of the coral is covered in zooids, and each zooid has a specific job. The gastrozooid is used for feeding, and is where the prey is digested in the body. These gastrozooids are surrounded by dactylozooids, which house the cnidarian stinging cells. The painful stings inflicted by the Millepora are inflicted using the cnidae, stinging thread, which are released from its cnidoblast. The cnidae are mainly used for prey capture and defense. 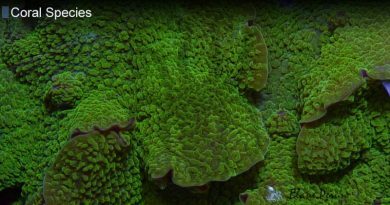 The morphology of the Millepora is highly variable, and has the greatest range of growth morphologies of any other Millepora. It is believed the coral starts all of its growth forms by encrusting. These encrustations appear in dead corals, ship wrecks and the reef. Morphologies of Millepora differ with the varying habitats where it is found. In a habitat with heavy surf, it will exist in a plate-like, robust or bladed colony. 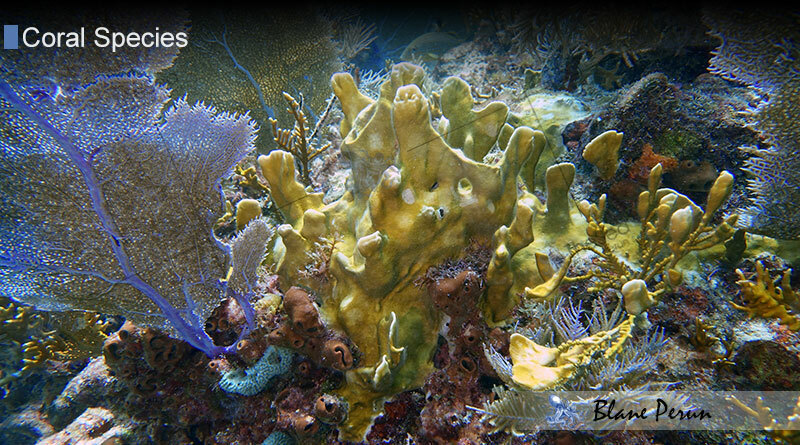 In lagoons or sheltered deep water reefs, they will be found as leafy, delicately branched and upright colonies. Colonies that are found living on vertical surfaces have larger encrusting bases, lower densities and longer perimeters. 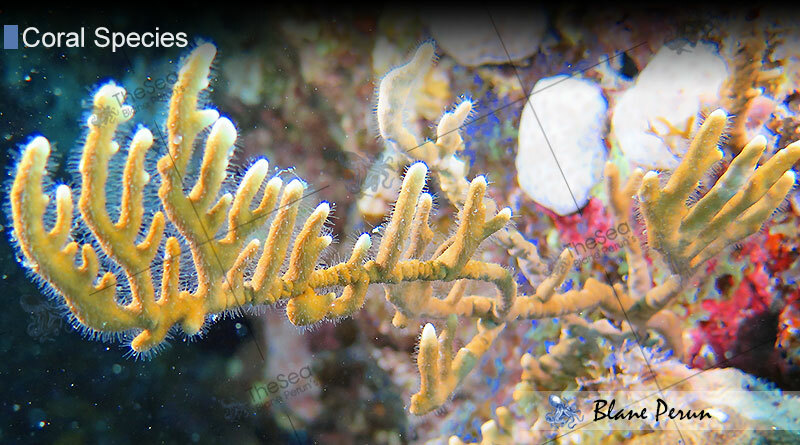 Millepora are common members of Caribbean reefs, especially on shallow coral reefs that cover many substrates. Corals are found at depths ranging from less than one meter to as deep as fifty meters. Banaszak et al. (2003) studied two colonies of Millepora in the Mexican Caribbean. One colony was exposed to environmental light and another was exposed to 5.9 times lower light levels. The colony in high light was observed to have bleached white, while the colony in low levels of light did not experience any bleaching during the same time period. Millepora falls under the Coral Reef Preserve Act of 1966. The law states that there will be no removal or willful harm to any part of a coral reef within the coral reef preserve as set in the law.